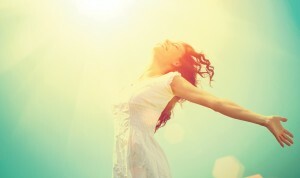 Walking on Sunshine: Does sunlight make you happier? It can often feel as if the weather dictates our moods. London has begun to come alive in the spring weather as people head outside to enjoy the warmth and the light. Yet can the sun truly make us feel happier? To answer this question, researchers have investigated whether sunlight is connected with happiness and what mechanisms might explain this effect. Spring has come! Weather is supposedly a boring topic of conversation but I personally love to chat about the temperature. Especially in this season, as it gives me the chance to gush over the prospect of sitting out on the grass, taking walks outside at lunchtime, and going about my day without a massive winter coat weighing me down. Lifting your face to the sky, it’s as if you can feel the sunshine raise your spirits as it warms your skin. Is that sensation of happiness an illusion? Is there actually a link between sunlight and well-being? You may have heard of Seasonal Affective Disorder (with the suitable acronym SAD), a diagnosable condition categorised by depressive symptoms that occur with a seasonal pattern (DSM-5). Unsurprisingly, patients with SAD typically experience depression during the winter months. This has prompted a variety of research questions, all with the general aim of discovering whether sunlight is truly associated with happiness. If being in the sun makes you happy, then are people in California the happiest of them all? Is Vitamin D the key to happiness? 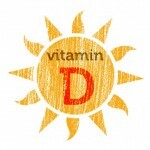 Vitamin D, sometimes known as the “sunshine vitamin”, is produced in the skin when exposed to ultraviolet B (UVB) rays. A systematic review found evidence to suggest that vitamin D deficiency is linked to depression (4). But does vitamin D deficiency cause depression, or do people with depression avoid the outdoors and therefore have lower vitamin D? One study on students in the United Arab Emirates (UAE) found that seasonal variation in vitamin D levels was associated with depressive symptoms – in the summer. It turns out, the sun is only beneficial if you are exposed to it. In the unbearable heat of the summer months, students avoided the outdoors and therefore had higher levels of both vitamin D deficiency and depressive symptoms (5). These results seem to indicate that it isn’t the brightness of the sun that improves our mood, but the vitamin D our skin produces in response to exposure. This also suggests that vitamin D deficiency is causally linked to depressive symptoms, rather than the other way around. Since the students did not come into contact with the sun, they had lower levels of vitamin D, resulting in higher symptoms of depression. It seems less plausible that the students all became depressed in the summer, avoided the sun, and thus became vitamin D deficient. As it happens, preliminary research even suggests that vitamin D supplements can reduce depressive symptoms (6,7). However, much more research must be done to test treatment efficacy before any definitive conclusions can be made. Does sunshine have anything to do with serotonin? If you’ve looked into depression you’ve likely heard of serotonin, one of the hormones linked to happiness and mood. Selective serotonin reuptake inhibitors (SSRIs) are antidepressants that increase levels of serotonin in the brain and are used to treat depression and anxiety disorders. One article that reviewed literature on how to increase serotonin in the human brain without drugs reported a link between the serotonin system and bright light (8). Serotonin levels seem to be highest during the summer, and other research has found that the production of serotonin in the brain directly increases with sunlight duration (9). Light therapy, involving the use of “sun lamps” which simulate natural sunlight, have been utilised since the 1980s (10) to treat SAD and seem to be effective at reducing depression symptoms (11). You may not have to go outside to increase your serotonin levels, as some studies find sun lamps can do it for you (12,13). Overall, it seems that sunshine and bright lights may very well be connected to the happiness hormone. We can live in cloudy areas and be happy, but sunshine and brightness gives us Vitamin D and serotonin! Happiness does seem to be linked to sunlight… However, I have a confession to make. I’m originally from California and although it may be blasphemy to admit, I occasionally got bored of the constant sunshine. I would look forward to the cool, autumn breeze and the changing colours of the leaves. Winter also brings its own joys. Icy air has a crisp freshness to it, and watching the rain from indoors with a blanket and mug of warm cider is my idea of peace and calm. In fact, some countries like Norway think that winter is the season to look forward to (14). 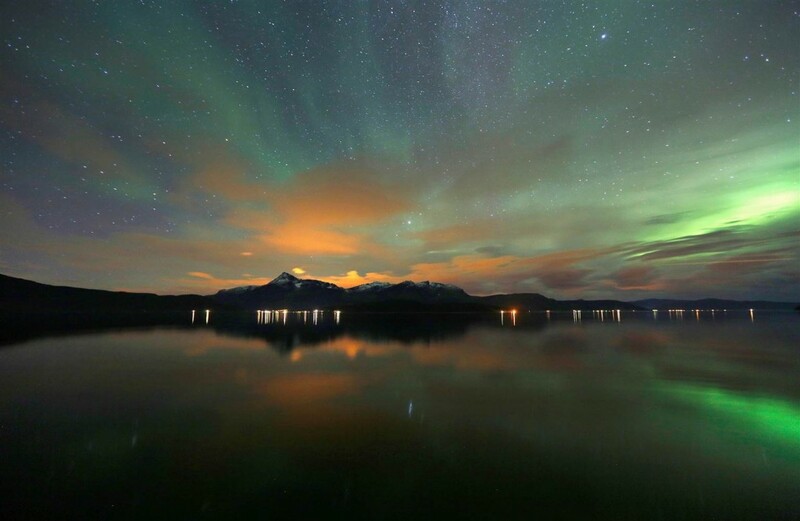 This mindset shift may be one of the reasons why people living in the high north have such low rates of seasonal depression, despite the darkness of winter months (15–17). Great news, we don’t have to have a mass migration to California to be happy. “Jolly Old England” is not an oxymoron! My aunt swears by her Vitamin D supplements and research is looking promising, so I don’t have to make an uncomfortable phone call and tell her to stop taking them. Of course, research is not entirely conclusive just yet and you should always consult your GP before dashing off to the nearest pharmacy. The brightness of the sun may increase our serotonin levels, so if the sun makes you happy then feel justified in that sensation and enjoy it! Since we are approaching summer, we can all look forward to longer days and warmer weather. Science supports happiness in the sun. The great news is, science also supports happiness in the dark. By changing our mindset to appreciate the wintertime, we may be able to mediate sadness associated with the shorter days. Do as the Scandinavians do; embrace hygge. Schkade DA, Kahneman D. Does Living in California Make People Happy? A Focusing Illusion in Judgments of Life Satisfaction. Psychol Sci. 1998 Sep 1;9(5):340–346. Anglin RES, Samaan Z, Walter SD, McDonald SD. Vitamin D deficiency and depression in adults: systematic review and meta-analysis. Br J Psychiatry. 2013 Feb;202:100–107. Thomas J, Anouti FA, Hasani SA, Abdel-Wareth L, Haq A. Sunshine, Sadness and Seasonality: 25-Hydroxyvitamin D, and Depressive Symptoms in the United Arab Emirates (UAE). International Journal of Mental Health Promotion. 2011 Jan;13(1):23–26. Jorde R, Sneve M, Figenschau Y, Svartberg J, Waterloo K. Effects of vitamin D supplementation on symptoms of depression in overweight and obese subjects: randomized double blind trial. J Intern Med. 2008 Dec;264(6):599–609. Young SN. How to increase serotonin in the human brain without drugs. J Psychiatry Neurosci. 2007 Nov;32(6):394–399. Lambert GW, Reid C, Kaye DM, Jennings GL, Esler MD. Effect of sunlight and season on serotonin turnover in the brain. The Lancet. 2002 Dec 7;360(9348):1840–1842. Rosenthal NE, Sack DA, Gillin JC, Lewy AJ, Goodwin FK, Davenport Y, et al. Seasonal affective disorder. A description of the syndrome and preliminary findings with light therapy. Arch Gen Psychiatry. 1984 Jan;41(1):72–80. Golden RN, Gaynes BN, Ekstrom RD, Hamer RM, Jacobsen FM, Suppes T, et al. The efficacy of light therapy in the treatment of mood disorders: a review and meta-analysis of the evidence. Am J Psychiatry. 2005 Apr;162(4):656–662. Tyrer AE, Levitan RD, Houle S, Wilson AA, Nobrega JN, Rusjan PM, et al. Serotonin transporter binding is reduced in seasonal affective disorder following light therapy. Acta Psychiatr Scand. 2016 Nov;134(5):410–419. Rao ML, Müller-Oerlinghausen B, Mackert A, Strebel B, Stieglitz RD, Volz HP. Blood serotonin, serum melatonin and light therapy in healthy subjects and in patients with nonseasonal depression. Acta Psychiatr Scand. 1992 Aug;86(2):127–132. Johnsen MT, Wynn R, Bratlid T. Is there a negative impact of winter on mental distress and sleeping problems in the subarctic: the Tromsø Study. BMC Psychiatry. 2012 Dec 12;12:225. Hansen V, Lund E, Smith-Sivertsen T. Self-reported mental distress under the shifting daylight in the high north. Psychol Med. 1998 Mar;28(2):447–452. Magnússon A, Stefánsson JG. Prevalence of seasonal affective disorder in Iceland. Arch Gen Psychiatry. 1993 Dec;50(12):941–946. Previous PostNever do today what you can put off for tomorrow. Or was it the other way around?